I've had this pattern in my ravelry que for a long, long time. 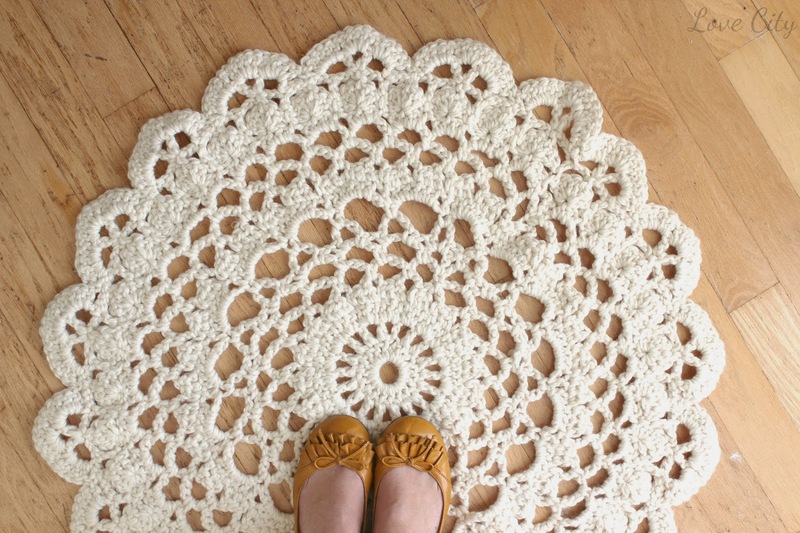 It is the Giant Crochet Doily Rug by Creative Jewish Mom. 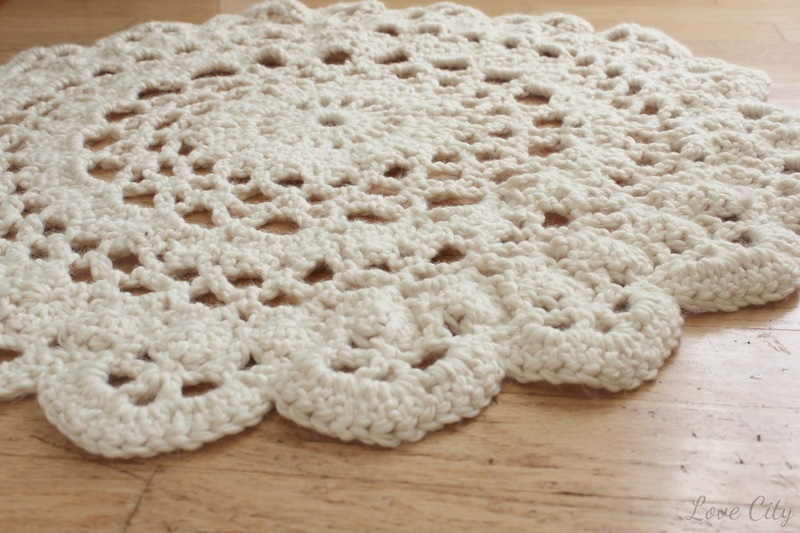 It is such a strikingly beautiful pattern with the lace created by the chain rounds, and the scalloped shell edging. 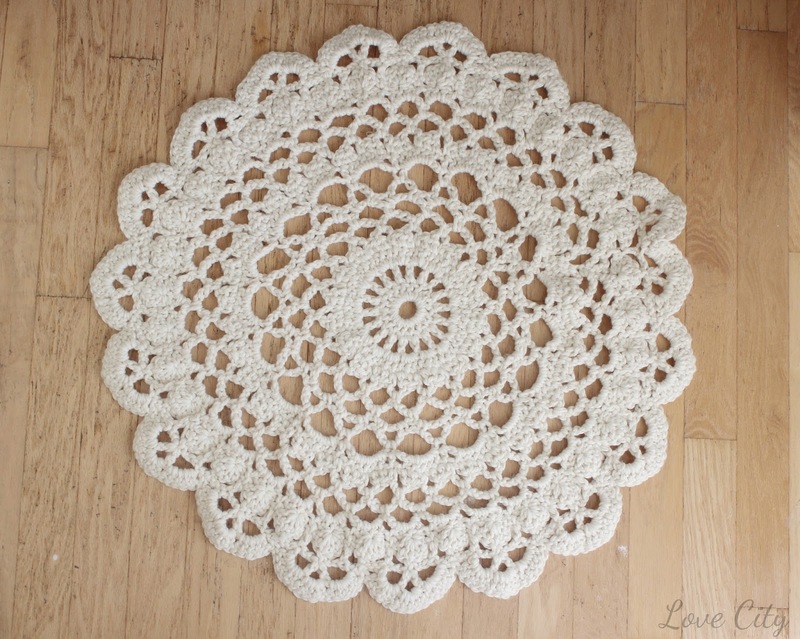 I always thought doilies were so complicated, but now that I've made one (a giant one), I know that it really isn't too hard. 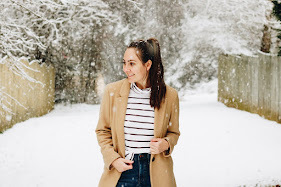 Especially when you have a good pattern to follow! There is a spot in the original pattern where she had to fudge a little to make it work. A follower of hers came up with an alternative to the last few rounds to make it work better. I followed along with the updated steps, but somehow I still ended up having to fudge my stitches a bit. I don't know what happened. So, it's not perfect, but if you don't look too closely the rug is still beautiful! I used some Lion Brand Wool-Ease Thick n' Quick yarn in Fisherman because I had a bunch on hand. I also used a size M crochet hook (I think? It's plastic and big and doesn't have the size written on it and I forgot). Overall, I really enjoyed making this rug and it is really so pretty to look at. I will definitely be making some more, and I will probably use a fun fabric yarn next time to see how it turns out! I love the rug and I have never thought of using Wool Ease for one, that you for the great idea.